Surely, at some point, you've found yourself driving down Vineland and thinking two things: first, "Where the hell was I going that I needed to head down Vineland?" 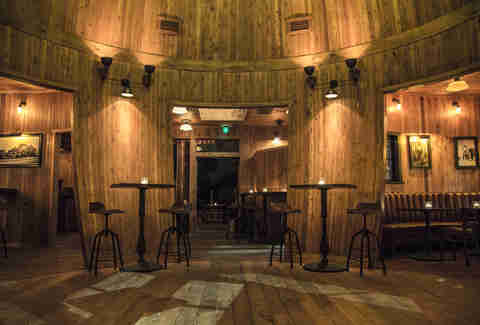 and second, "What the hell is up with this crazy, barrel-shaped building that's never, ever been in use?" 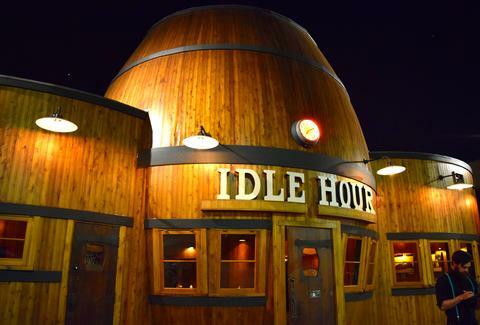 Thankfully, the answer to both is now apparent: you're headed down Vineland for its newly restored barrel bar called Idle Hour. 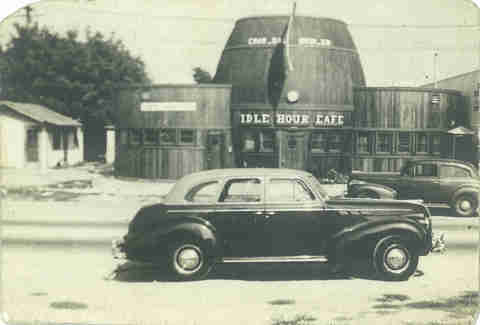 The spot was originally built as a tap room in 1941, when there was a trend in novelty architecture, which had buildings that resembled what they were selling (think: Randy's Donuts or Wienerschnitzel). 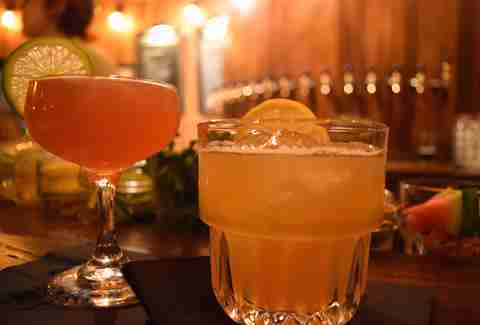 It's been reopened by the people behind sweet bars like Sassafras and Thirsty Crow. 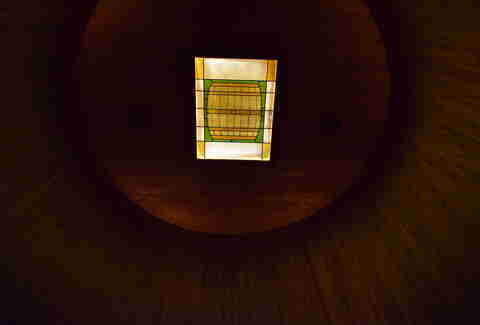 On the inside you'll see what it feels like to be whiskey aging in a barrel. Your whiskey empathy might also have something to do with the amount of bourbon you're consuming. 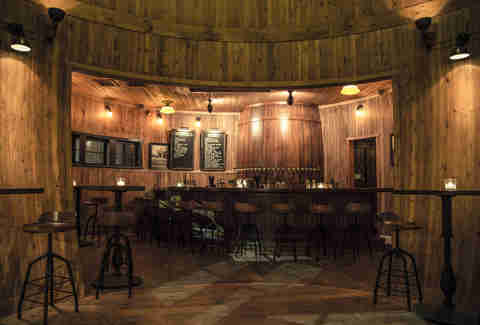 ... 'cause eventually you'll end up at this barrel-shaped bar, where you can order up tap cocktails. 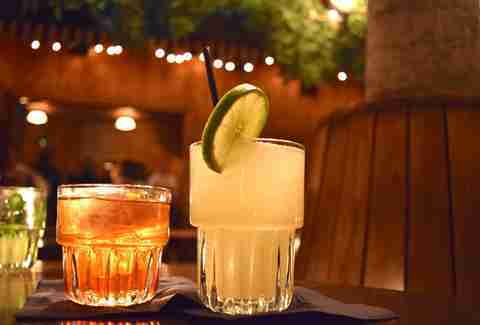 The Rum Ricky is on draft, and the El Guapo comes in bottles, though it's unlikely to ensure that you're known for your superior intellect. 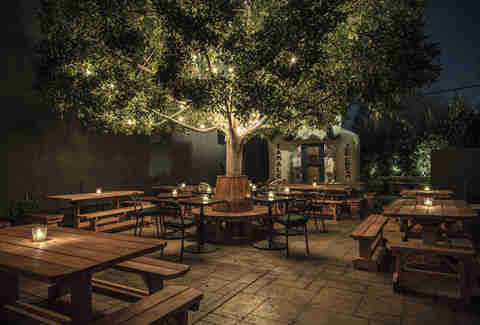 Out back is one of the best drinking patios in all of LA, complete with a ficus tree for shade when it's infinity degrees in August, and a fire pit for when it's, like, 50 degrees in, uh, nighttime in August. 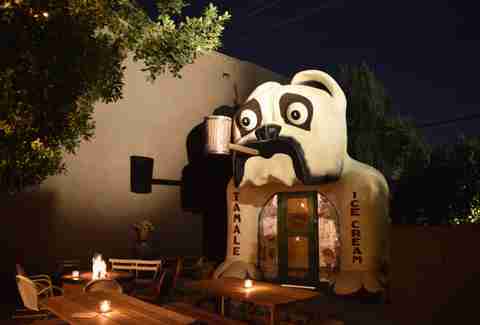 We haven't even mentioned the giant, pipe-smoking bulldog that has a private party room INSIDE. WTF? It was an actual venue from the '20s-'60s that's been painstakingly recreated and moved in the back #themoreyouknow. 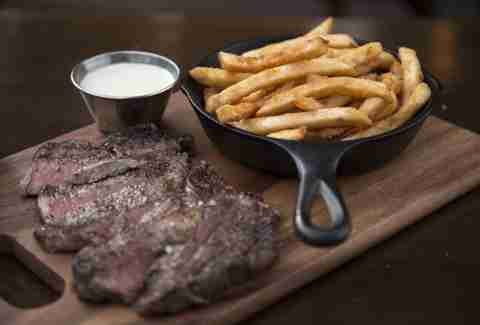 For food, there's an 8oz rib eye steak and frites, along with a ton of other delicious Americana-inspired classics, like a Sloppy Joe, mac & cheese, pulled pork sliders, Buffalo and BBQ wings, and giant pretzels. Oh, and sweet potato gnocchi with candied pork belly and marshmallow. Time to get barrel aged. Danny Jensen is a regular Thrillist contributor and will be spending many of his idle hours on that fantastic patio, contemplating programmatic architecture. Let him know you’re on the way by giving him a shout on Instagram and Twitter.